If you live in a region, which receives heavy snowfall, we suggest you mount your vehicle with a set of winter tires, commonly labeled as Snow Tires. And do not live in a false sense of security that all-season tires will perform efficiently during winters. There is no such thing as best as all-season tires for snow. Snow tires utilize a specific rubber compound, which provides excellent traction in extremely cold temperatures and icy roads. 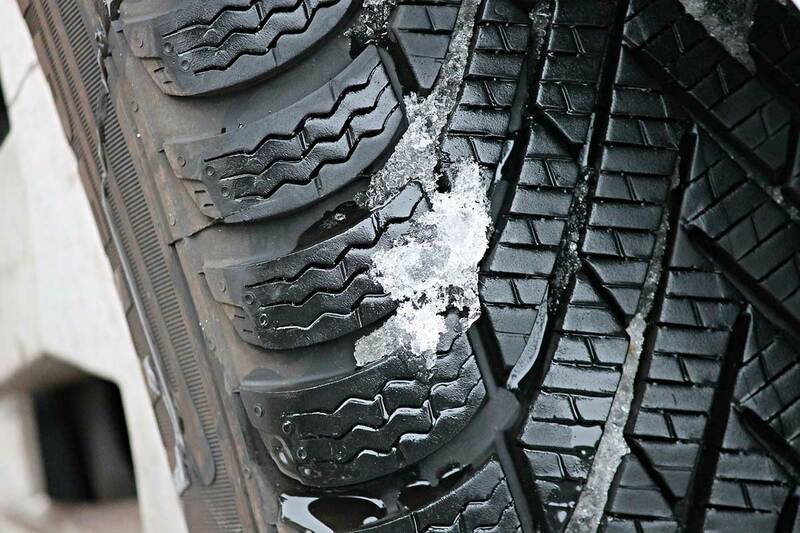 Furthermore, the tread on winter tires is meticulously designed to bite into the snow and allowing for excellent grip on the road. The question is how to pick the best snow tires for your vehicle? 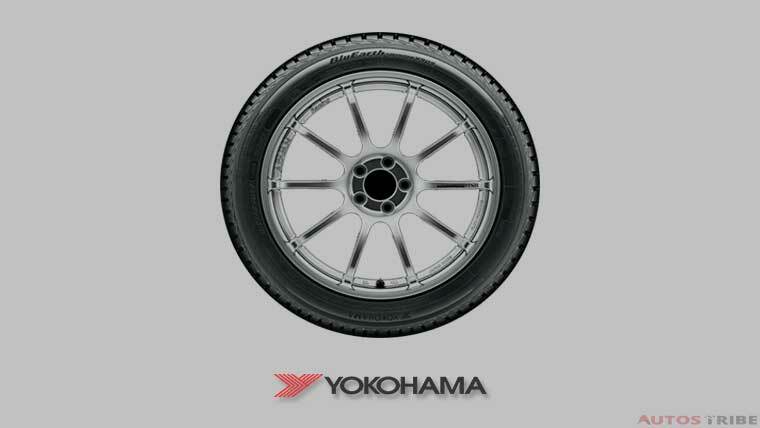 You cannot count Yokohama out of the best snow tires list, can you? The BluEarth Winter offers more bang for your buck and tests show these work impeccably on drier and wet asphalt as well. Much of that is down to their triple 3-D sipes, which provide for fantastic traction whenever your vehicle hydroplanes. These are especially useful for folks who are new to driving and can cause their vehicle to hydroplane while taking turns. The two-ply polyester compound is engineered to give your ride balance, even in adverse driving conditions. The unique sipes, excellent tread design, and meticulous construction make them one of the best snow tires. Good for both wet and dry conditions. Best In The World Based on testing, Consumer Reports, comprehensive performance tests. Michelin is one of the most renowned brands in America and Canada for their top-notch tires. The X-Ice X 13 is ideal for coupes, sedans, vans, SUVs and crossover vehicles to glide over icy patches of roads efficiently. The secret to Michelin X13 tires’ performance is the addition of Cross Z sipes, which provide excellent traction on wet and snowy surfaces. 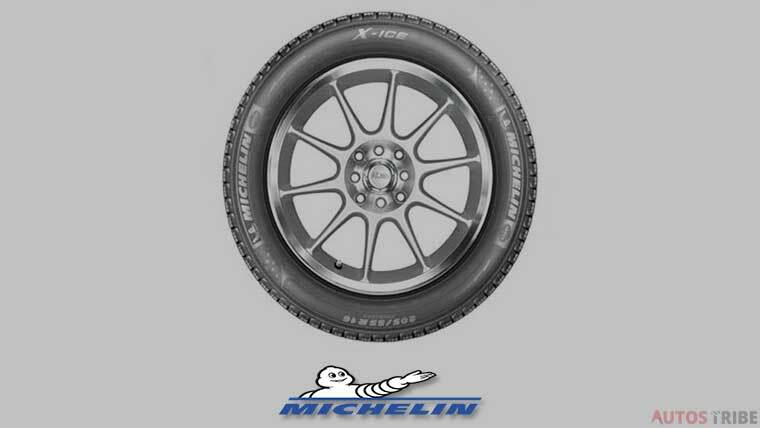 These also feature Michelin’s FleX-Ice silica-based winter tread compound, which renders sublime grip at higher temperatures while remaining flexible at lower temperatures. These have become the industry standard for snow tires. One of the most important factors to consider during winter driving is safety, especially if you have a passenger in the backseat. 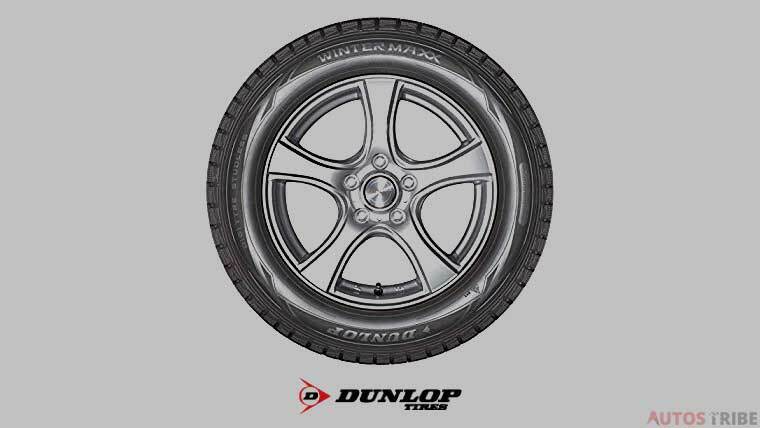 However, the Winter Maxx WM01 are Dunlop’s 1st generation tires aimed at giving you unparalleled safety in winters. The engineers at Dunlop have also developed their trademark Digital Rolling Simulation technology to enhance strength and durability while minimizing the risks of hydroplaning. 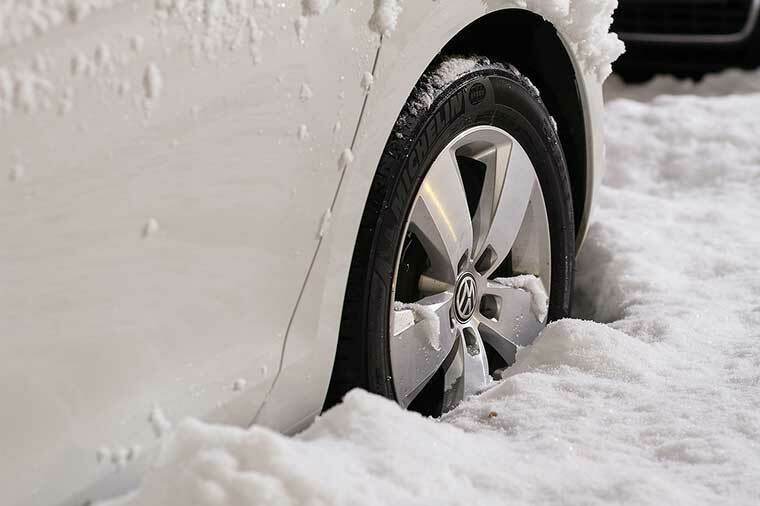 Fitted with a silica-based Nano-Fit rubber tread and these best snow tires have a meticulous balance enabling them to work phenomenally well in adverse weather conditions. And if you are looking for a set of best tires for the snow to just install on your vehicle and forget, the Maxx WM01 is perfect. The Digital Rolling Simulation Technology is revolutionary. As the name suggests, the Good Year Ultra Grip Winter Tires provide phenomenal traction, even when you are driving in awful weather conditions. Upon testing, experts found these to provide exceptional grip, making them one of the best snow tires available. These tires can certainly take a beating and would do the job in below zero degree temperatures tremendously. The Ultra Grip features a winter compound blended into a unique tread design that helps evacuate water on wet roads. Furthermore, the multiple sipes and shoulder blocks bite well into the snow and stabilize your vehicle for dry road conditions. The traction in these tires is second to none. Studded tires are actually equipped with metal studs in the tire treads. These studs help your vehicle maneuver past frosty roads and pavements, thanks to their superior traction. On the downside, when there is no snow, they can cause difficulty while steering and stopping. In addition, the added friction increases the fuel consumption of your vehicle considerably. Flexible treads enable your vehicle to regain traction even when you hit a pavement laden with snow. How? Because the manufacturers design the tread to provide excellent grip on the road and sufficient traction while you move along swiftly. 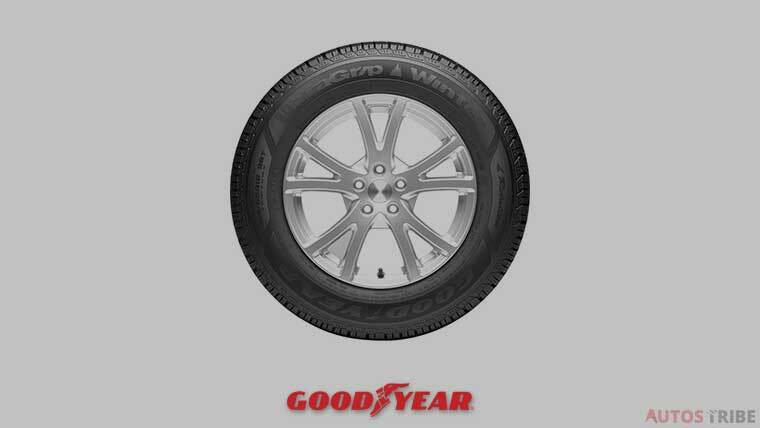 It is essential for your vehicle to have a reasonable weight distribution throughout the tires. When the weight is evenly distributed, only then can your car maneuver past harsh road conditions. It helps your vehicle to move seamlessly, as a single unit. Best snow tires offer perfect weight distribution. Warranties are important in all products but when it comes to best snow tires, it is even more. However, most of the snow tires might not have markers for tread wear mileage but they do come with years and inch depth fractions. If you are unsure how to read the warranty on snow tires, maybe get an expert to tag along with you. Sounds cliché, hm? The worst thing you can do is lose focus during winter driving. Moreover, winter also demands you to be super alert while taking turns or even following a straight line. Slamming on the brakes in winters means you have lost control and are on the brink of getting involved in an accident. And brake with assuredness and keep a distance between yourself and the vehicle ahead of you. The roads during winters are slippery, and as we all know what can happen if we apply emergency brakes. When the weather is very bad and your vision is hampered, you should not go above the speed of 40km/h. Let people honk at you; show courtesy and let them pass. You have to worry only about yourself. Besides, if you have the best snow tires, you should be in control of your car. Drive safe! During winters, it is also wise to go with a slightly higher car tire pressure because a higher pressure can help your car adjust to fluctuations in air pressure. For instance, if air temperature as well as drops 5 degrees and the tires drop half PSI. Moreover, tires on average lose one PSI every month. Hence, we recommend you go with higher tire pressure.